Getting a new puppy isn’t all fun and games and as a dog owner, it’s your responsibility to make sure that your pet is well trained, well behaved and not a danger to yourself or others. Some breeds are certainly easier to train than others, however, and if you are finding it difficult to get your dog to do what you want, then you need to book him or her in with us for some residential dog training. Our packages are tailored to suit each individual so there’s no need to worry on that front. We know that all dogs are different, which is why there is no prescriptive one-size-fits-all approach. We will give you a phone call to find out just what your dog is struggling with and how long it is likely that your pet will need to remain with us in order to solve the problem. Find out more about our Training Packages, pricing and details. Be assured as well that whatever feeding or medical requirements your dog has to follow will be maintained for as long as your pup is in our care. We can provide food if required, but we would always advise people coming to us to bring their own so that there are no feeding issues associated with changes in diet. We also provide a blanket, but you would perhaps be wise to bring as many creature comforts with you as you can so as to help make your dog feel more comfortable and more at home. Alongside the training that your dog goes through with us, they will also be taken on a lovely walk each day. 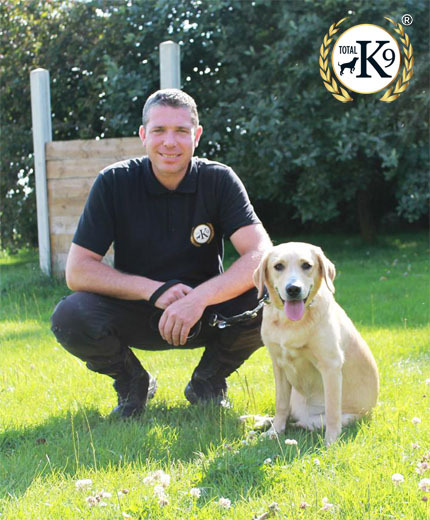 Training sessions tend to vary between dogs and, depending on what the problem is, they could last for 20 minutes or be up to a day off site – it all depends on what behaviour needs solving. Once we believe that your dog is trained in the correct manner, we will carry out a handover session with you so as to help teach you how to carry on the process. This typically lasts an hour, where you will meet with your personal trainer and go through what your dog has been up to while he or she has been with us. 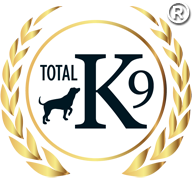 Get in touch with us here at TOTAL K9 to find out more about the services we provide.